Known as a healing center since colonial times — George Washington came to “take the waters” for his health — Morgan County today is a unique mix of state-of-the-art 21st Century Health Care and an extensive alternative health community. The State-of-the-Art War Memorial Hospital opened in April, 2012 off of Fairview Drive. The $30 million, 87,000 square-foot facility includes upgraded technologies throughout, new operating rooms, outpatient rehab, a helipad, and ample, convenient parking. Part of the regional Valley Health, War Memorial Hospital is a non-profit facility providing healthcare services to a population of about 18,000 in Morgan County, WV and surrounding areas. A licensed Critical Access Hospital, War Memorial features 25 inpatient beds (21 private rooms), 14 long-term care beds, and a six-bed emergency department. 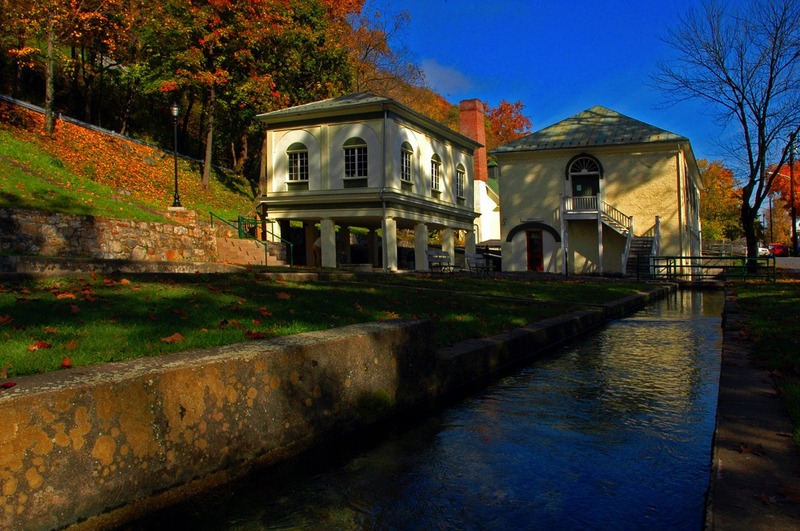 Spas, massage and bathing are high art in Berkeley Springs, available year ‘round from centuries-old historic bath in Berkeley Springs State Park, fed by the famed warm springs, to contemporary spas offering a variety of massage, skin and health treatments. Health and relaxation are primary concerns. The area boasts three times as many massage therapists as lawyers and is home to a unique manufacturer of homeopathic medicine.